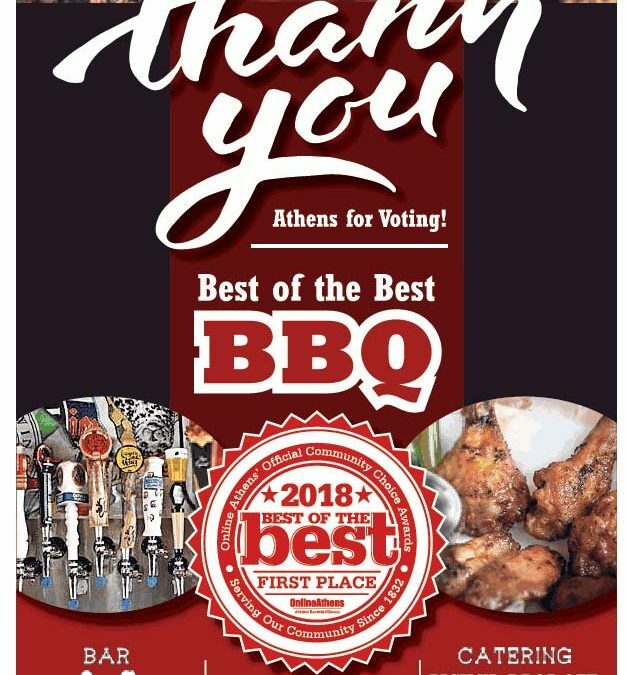 Saucehouse BBQ named 2018 Best BBQ in the BEST OF THE BEST awards in Athens, GA. The award was given by The Athens Banner Herald which is the main local newspaper. Entries were accepted over a months time for readers and fans to nominate and vote for their best BBQ restaurant and Saucehouse came out on top! Charlie Nix, Burton Windsor, and Christopher Belk attended the event and accepted the award on behalf of Saucehouse BBQ.